Join us as we praise and worship the risen Lord Jesus Christ on Easter morning, April 21st. 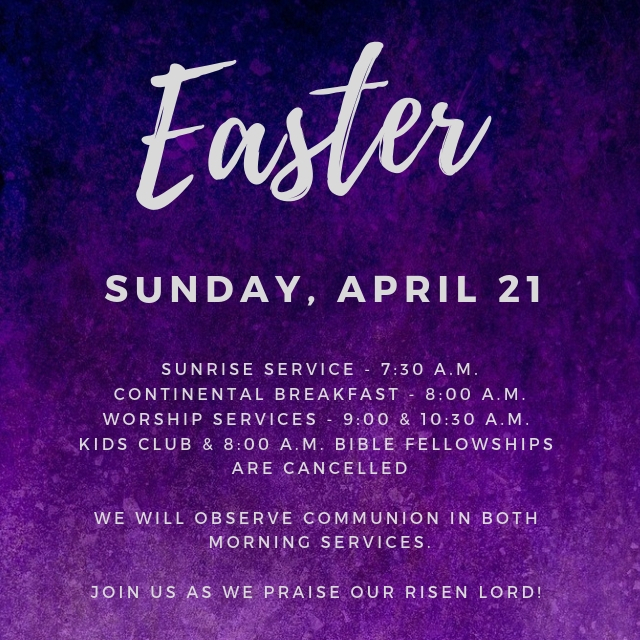 There will be a Sunrise Service in the side parking lot at 7:30 a.m. to be followed by a continental breakfast in the church fellowship hall. Easter morning worship will be at 9:00 & 10:30 a.m., and we will observe communion in both services. The Bible Fellowships at 8:00 a.m. and Kid’s Club are cancelled.